The evolution of English is a long and complicated one. First spoken by the Anglo-Saxons when they came to Britain in the 5th Century, further influences included Latin, the Norse language spoken by the Viking invaders, and Norman French brought over by compatriots of William the Conqueror in 1066. Modern English dates from the 16th century, after Britain became a colonial power, and was used all over the British Empire. As a result of this expansion, today English is spoken by over 125 million people in India alone. 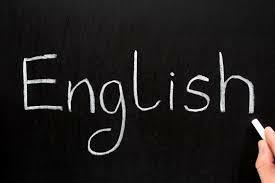 English is now arguably the most important language in the world, being the standard language used in diplomacy, science, aviation and information technology – 55% of all internet content is written in English. If non-native speakers are included, English is the most widespread language in the world, spoken by up to a billion people, and is the most commonly taught second language in the world. Non-native speakers of English outnumber native speakers by three to one. Its comparatively large vocabulary results from many thousands of words borrowed from other cultures and languages, and because of this modern English is considered to be highly flexible. In 2010, a study by Harvard University estimated that there are just over one million words in the English language, increasing at a rate of 8,500 per year.